Our urban area is filled up with pedestrians and no room for any trees. Space is only squeezed for them. 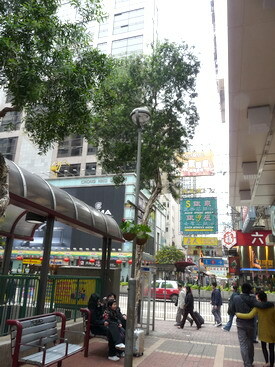 It is a complicated subject to select the right tree in a crowded area. Only those with narrow crown, straight trunk, small root ball and be capable to survive under poor soil are selected. 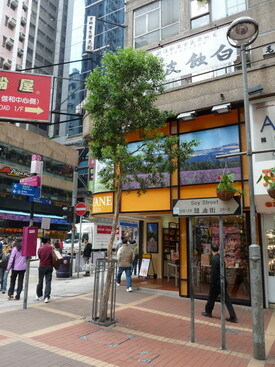 The pictures have shown two Paper-bark trees planted in Soy Street in Mongkok. 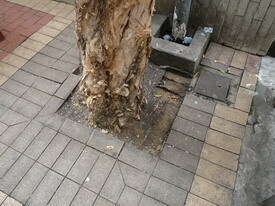 They are located besides the drainage opening and electrical wire cover. Obviously there is not enough space for the root to stretch out. Paper-bark tree is a large tree from Australia, it extremely tolerant adverse environment. However, it has violated its own nature as it never grows taller or bigger. 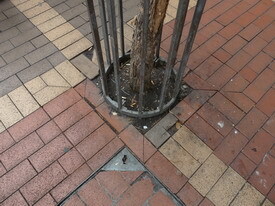 Arborist insists ‘right tree, right place’. Under adverse site condition, a professional judgment is: no planting please!